Angela Clabon, the Chief Executive Officer of CareSTL Health has more than 37 years of healthcare experience. Mrs. Clabon has always been very passionate about the North St. Louis Community. She started her journey in the health care movement as the Registration Clerk of People’s Health Center, the Director of Revenue for Grace Hill Health Center, the Chief Financial Officer for Hopewell Center and Myrtle Hilliard Davis Comprehensive Health Centers to the Chief Executive Officer of CareSTL Health. A native of Saint Louis, Clabon obtained a Bachelor’s degree in Business Administration from the University of Missouri. She obtained her Master’s degree in Business Administration with an emphasis in Finance from Webster University. A member of the Zeta Sigma Chapter of Sigma Gamma Rho Sorority Inc., Clabon “lives for the blue and will die for the gold!” She is passionate about being an advocate for healthcare equity for the voiceless. 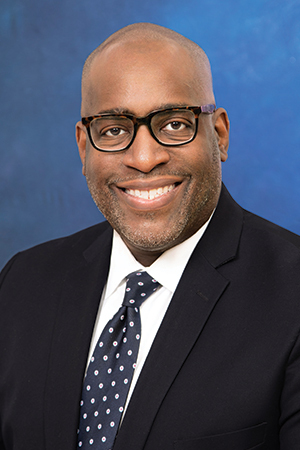 Clabon serves as a Board Member for Missouri Primary Care Association, Missouri Health Plus, St. Louis Integrated Health Network, St. Louis Regional Health Commission, Harris Stowe University Advisory Board, Top Ladies of Distinction-Cardinal Chapter and the Network Nine Advisory Board. Additionally, she is the Chairperson of several committees and an active member of several organizations including the NAACP, NABA and the Urban League. Clabon has received numerous awards and recognitions including the 2018 Salute to Excellence in Healthcare, Stellar Performer award from the St. Louis American newspaper. Dr. James Paine, Jr. has made huge strides and accomplishment in the past four years in healthcare. Thanks to his 20 years of experience in management and executive leadership, Dr. Paine has successfully managed healthcare operations to nearly 30,000 patients annually throughout the greater St. Louis region. The Chief Operating Officer can boast about his many accomplishments as an acclaimed author, speaker and trainer in leadership and organizational effectiveness. In 2014, he was named a Salute to Excellence in Education Award recipient by the St. Louis American Foundation, and was honored in May 2018 with a Who’s Who in Diversity St. Louis award. Dr. Paine’s formal education includes an undergraduate degree from Lindenwood University, a master’s degree from the University of Missouri, and a Ph.D. from Saint Louis University. In addition to his formal academic degrees, Dr. Paine has also completed executive education programming in leadership and organization dynamics at the Harvard Business School. Jason W. Ware, a native of Illinois, has made St. Louis, Missouri his home. Jason has a passion for helping people which is evident by his more than 15 years of professional experience working in the non-profit sector. Jason’s career at CareSTL Health has elevated quickly. He was hired as the Executive Administrative Assistant to the Chief Executive Officer (CEO) in 2015. It was obvious he could take on additional responsibilities and two years later he was promoted to Director of Contracts and Grant Management. Today Jason serves as the Chief Financial Officer (CFO) and Executive Director of the foundational arm of CareSTL Health. As CFO and a member of the executive leadership team, Jason directs the organization’s financial planning; accounting practices and supervises the fiscal department. Jason holds a Bachelor of Science degree in Accounting from Harris-Stowe State University and a Master’s in Business Administration from Lindenwood University. In his spare time you can find Jason providing community service to other organizations. Jason serves as the Vice President of The Haven of Grace Board of Directors; Collegiate 100 Advisor and Membership Chair for the 100 Black Men of Metropolitan St. Louis, Inc.; and is a proud member of Kappa Alpha Psi Fraternity, Inc.
Renee is a young, talented Chief Compliance Officer who has been recognized as a Healthcare Hero for her wealth of knowledge in the business. Her 15 years of healthcare experience allows her to quickly assess barriers, challenges and provide solutions. Renee previously worked as a User Support Analyst in the Physician Billing/Information Services at Washington University School of Medicine. Renee’s experience allows her the ability to foresee future obstacles and make early adjustments. It is not uncommon for department managers to consult with her for guidance and direction on specific issues. 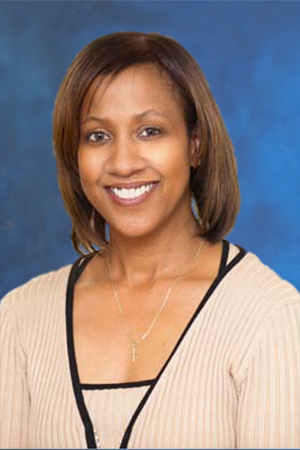 Renee is a proud graduate of Saint Louis University with a bachelor’s degree in Health Information Management. She holds master degrees in Health Administration and Business Administration from Webster University. Renee is an active member of several organizations including Sigma Gamma Rho Sorority Inc., Zeta Sigma Chapter where she is the Corresponding Secretary. 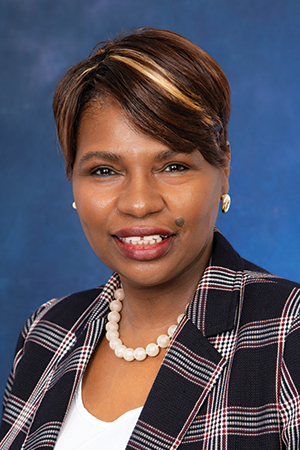 Chief Information Officer Renee Brooks has served the patients of CareSTL Health for more than 15 years but her experience in healthcare spans to nearly 22 years. 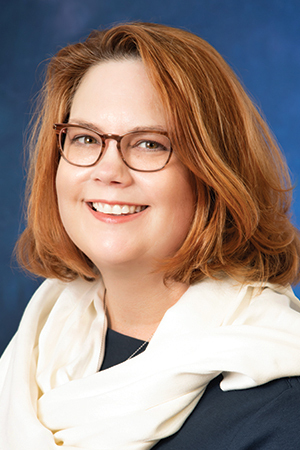 She started at CareSTL Health as Director of IT/MIS and was later named Chief Information Officer (CIO). In the early days of her career Renee was an Information Systems Coordinator. She worked her way up the ladder to Senior Level Support Analyst. She later managed billing services to support both hardware and software for 20 plus clinic practices and hospitals. As CIO she manages several departments including technology, population health, and laboratory and radiology services. In her spare time, she adores spending quality time with her family, cooking and exploring genealogy. Born and raised in St. Louis, she is a diehard MIZZOU alumni and fan. Chant M-I-Z and Renee will finish the call, Z-O-U! A native of Kansas City, Kansas Dr. Carol Henley has been with CareSTL Health for more than 20 years. Dr. Henley has practiced dentistry for 30 plus years and now serves as the Chief Dental Officer at CareSTL Health Centers. Dr. Henley is a member of numerous dental affiliations including, the American Dental Association and the American Association of Women Dentists, to name a few. 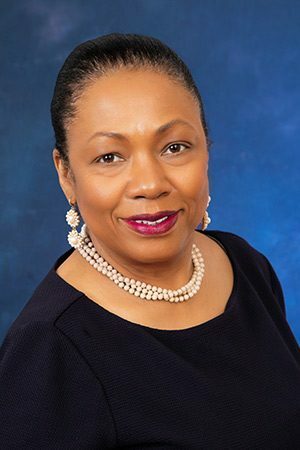 She is widely known for her work in dentistry and has been the recipient of several awards including the 2002 Annie Malone Woman Advocate Honoree, the 2004 Mother of the Year Award from (TLOP) Top Ladies of Distinction and the 2015 Salute to Excellence in Healthcare. A fitness guru, Dr. Henley received the 2007 EZ Bodyz EZ-Gear, Best Biceps, and Total Body Awards. Dr. Henley holds a Bachelor’s Degree in Biology from Benedictine College and a Doctorate of Dental Surgery from the University of Missouri Kansas City. In her spare time Dr. Henley enjoys spending quality time with her two wonderful daughters: Cara and Carly. A St. Louis native, Dr. Etuk graduated from Incarnate Word Academy and St. Louis University respectively. As a child, she marveled at the thought of curing people who seemed ill. Today she can brag about her 13 years of medical experience that expands beyond the St. Louis area. Dr. Etuk completed her residency training in Family Medicine at SUNY-Downstate Health Sciences Center in Brooklyn, New York in 2006. She served as the Family Medicine Chief Medical Resident in her final year. After residency, Dr. Etuk joined the Department of Family Medicine at SUNY- Down State as a Clinical Assistant Professor for the next five years with a focus on obesity. There she trained both medical students and residents. 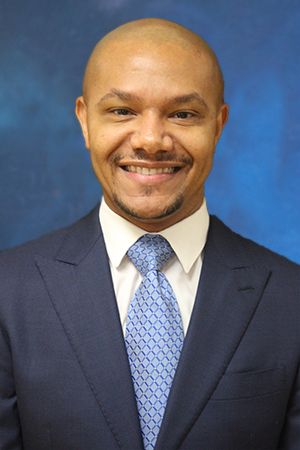 In 2011, Dr. Etuk relocated back home to St. Louis and joined the CareSTLHealth team as a Family Medicine physician. In 2014, she was named Chief Medical Officer. Dr. Etuk is certified under the American Board of Family Medicine and continues to precept medical students at CareSTLHealth. She is married and the proud mother of two children. Sonya Gray brings 20 years of human resources and corporate governance experience with proven results to CareSTL Health. 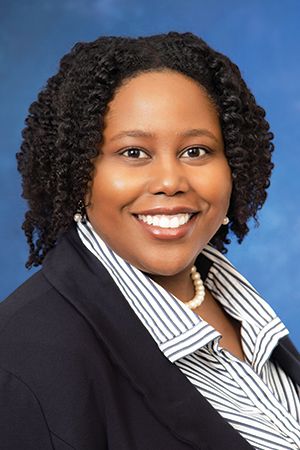 She manages the human resources strategy for CareSTL Health including workforce planning, talent management, organization development, executive and employee compensation, employee relations, benefits, and diversity initiatives. Sonya’s experience is diverse and includes stints in manufacturing, media, entertainment, sports, defense contracting, retail and logistics. 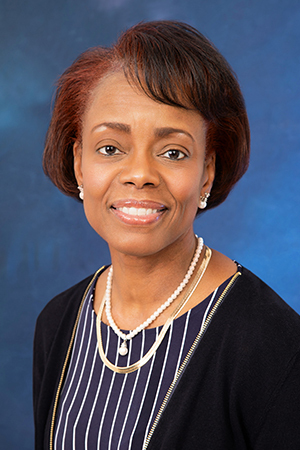 Her most recent position was as Chief Human and Administration Officer for Davis Medical Holdings, LLC and Global Vice President of Human Resources for CHEP. Sonya possesses a wealth of executive team leadership skills. She held senior executive and leadership positions with the Washington Nationals Baseball Club, Siemens, Allied Signal/Honeywell, Fuji Film and Wal Mart. Sonya has a bachelor’s degree in Communications from Benedict College. We employ the best healthcare professionals available and foster a community of accountability, continuous learning, growth and development.